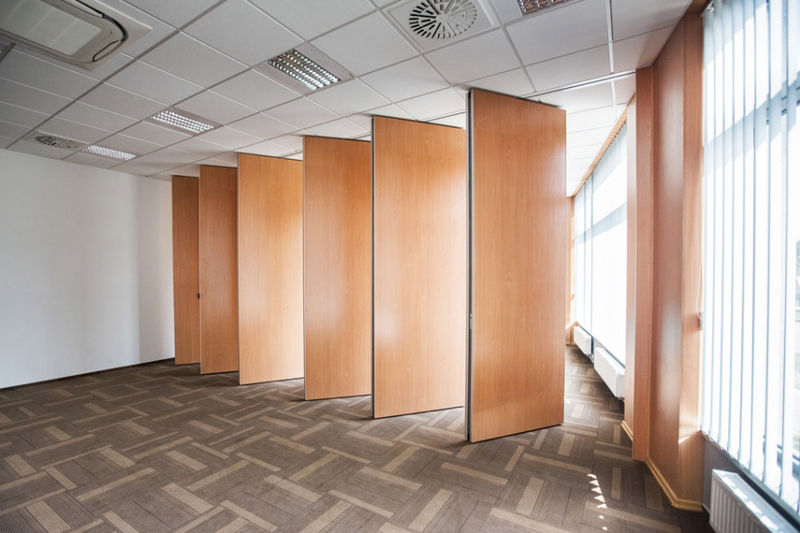 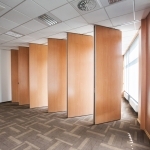 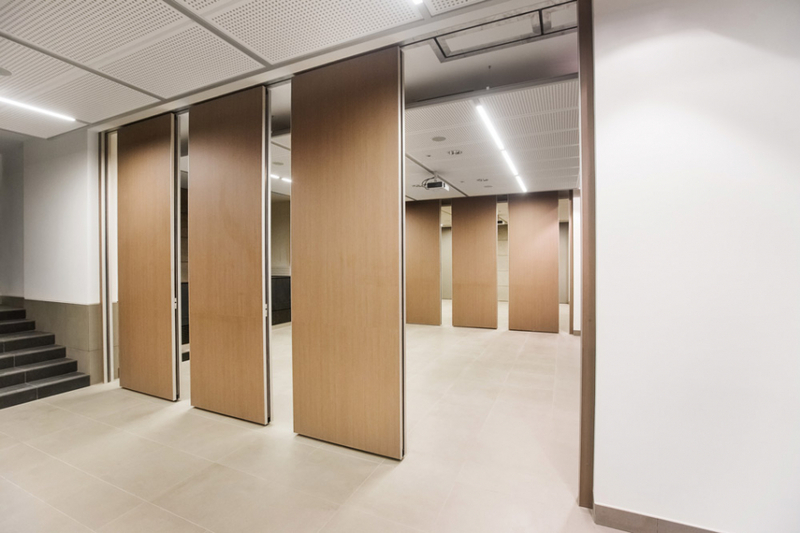 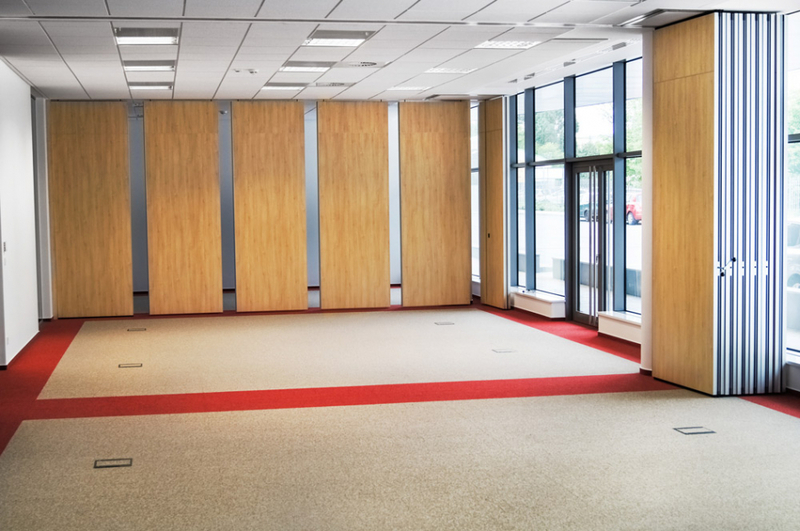 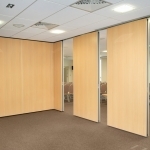 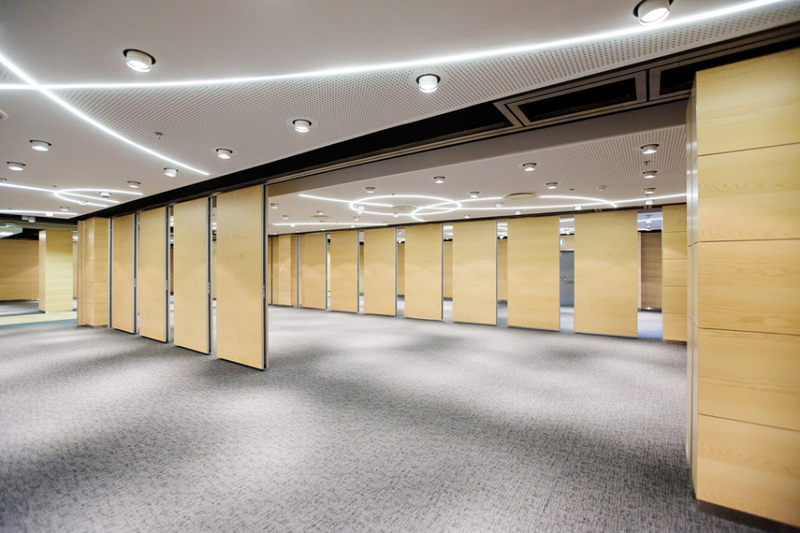 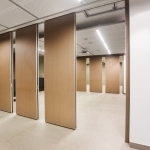 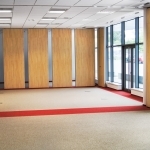 The movable partition walls are composed of independent and easily movable elements that run on guides fixed only to the ceiling so that, when they are “collected”, no unsightly and dangerous tracks remain on the floor. 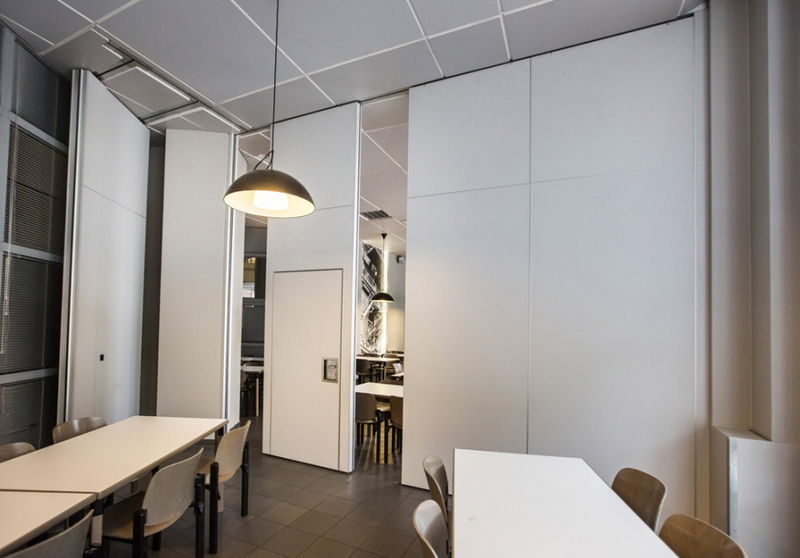 The modules adhere perfectly to both the ceiling and the floor thanks to a telescopic system that guarantees acoustic insulation and stability. 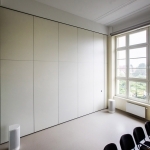 The wall is made of a high-strength aluminum structure and covered in 18-mm thick agglomerated wood panels. 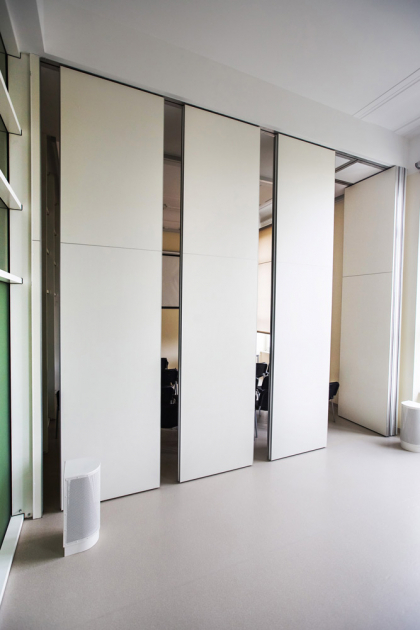 thick coated in melamine / laminate of the color chosen by the customer. 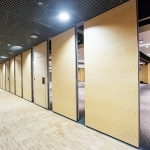 They can also be made of glass with ample possibilities for customization. 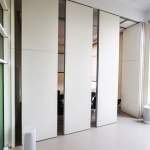 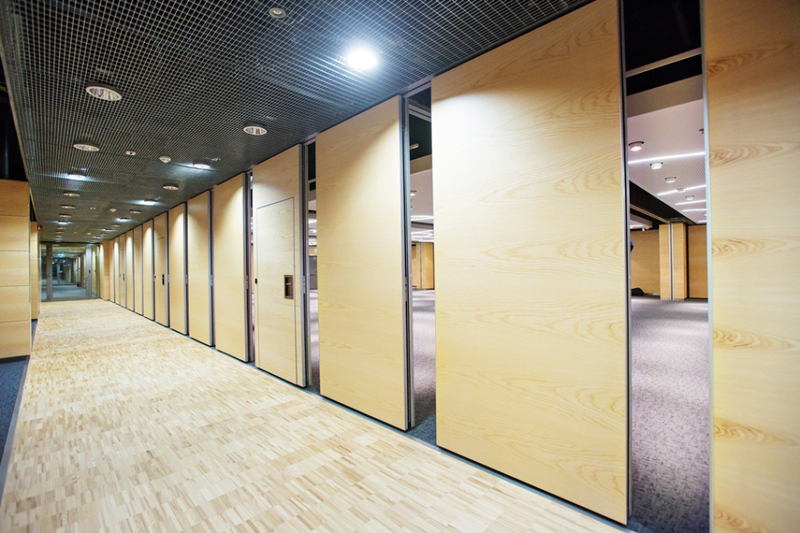 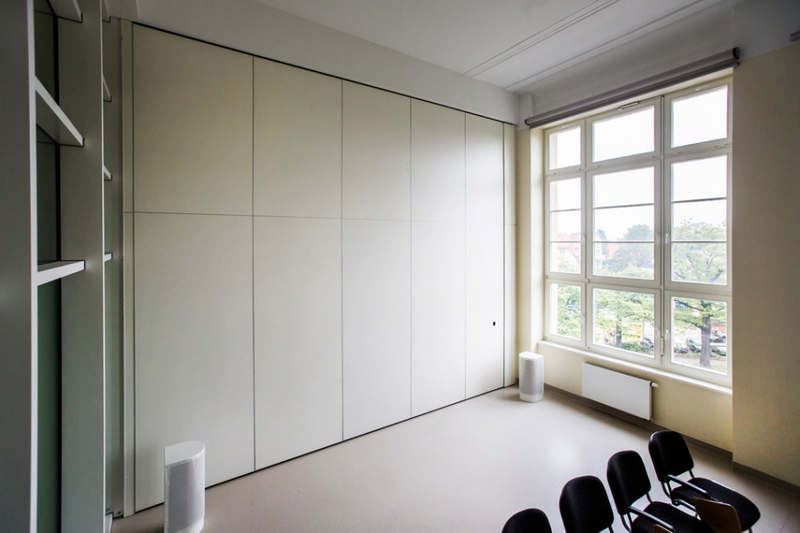 Our movable partition walls are also soundproof: they are characterized by modular elements with high acoustic insulation (up to a certified Rw index of 54 dB), they adhere perfectly to both the ceiling and the floor thanks to a telescopic system of very quiet guides and trolleys. 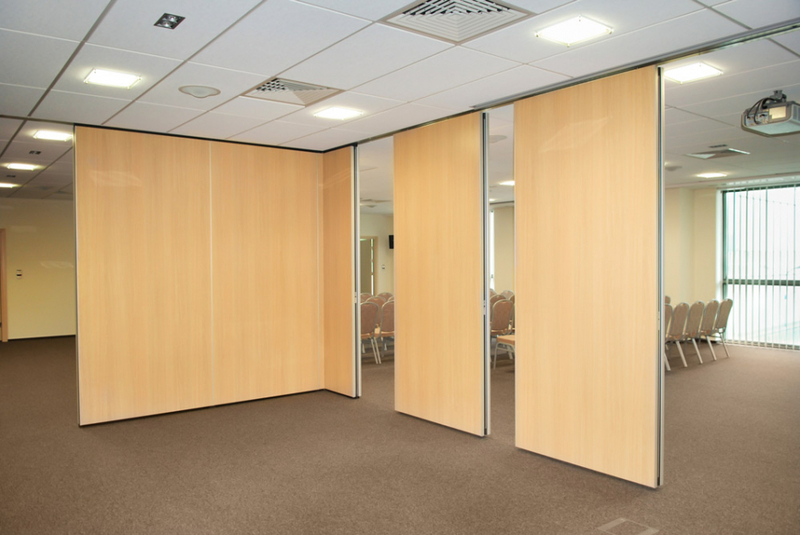 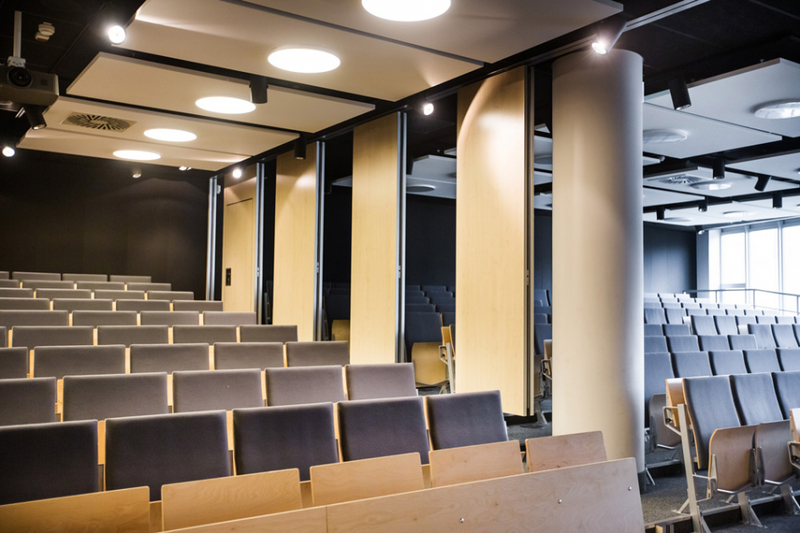 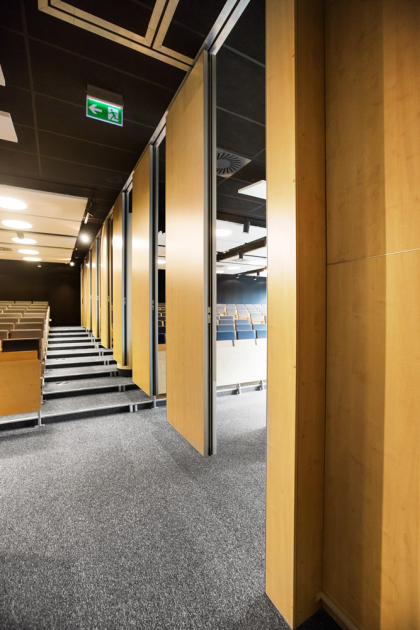 The high technological content of these walls makes it an ideal solution for rapid physical and acoustic subdivision of environments for events, meetings, videoconferences and training courses.